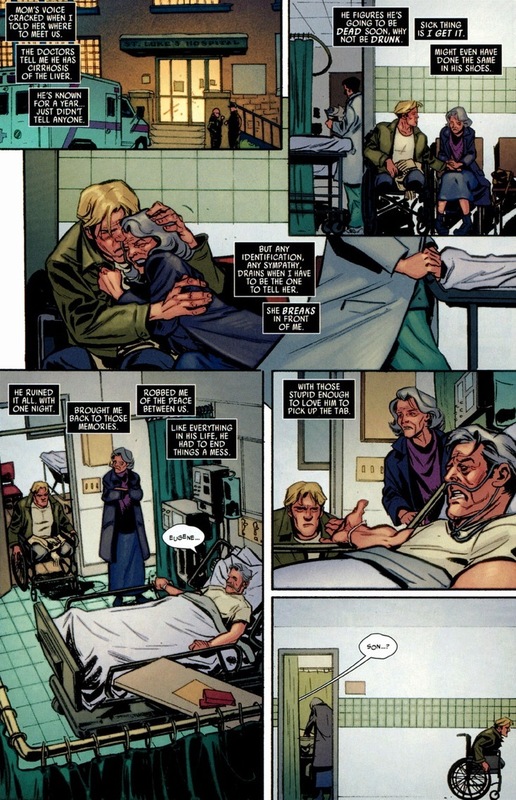 When Flash gets leaves the hospital, we get not only a clear message of Flash’s current contentment, but also proof of the good Spider-Man provides to the moral fiber of the Marvel universe. Sure, Spider-Man’s strong and fast. But he’s not that strong and fast. Can you name a Spider-Man comic that doesn’t end with him standing barely triumphant while beaten, bruised, and wearing a tattered costume? But the very next issue, he’s back in action. 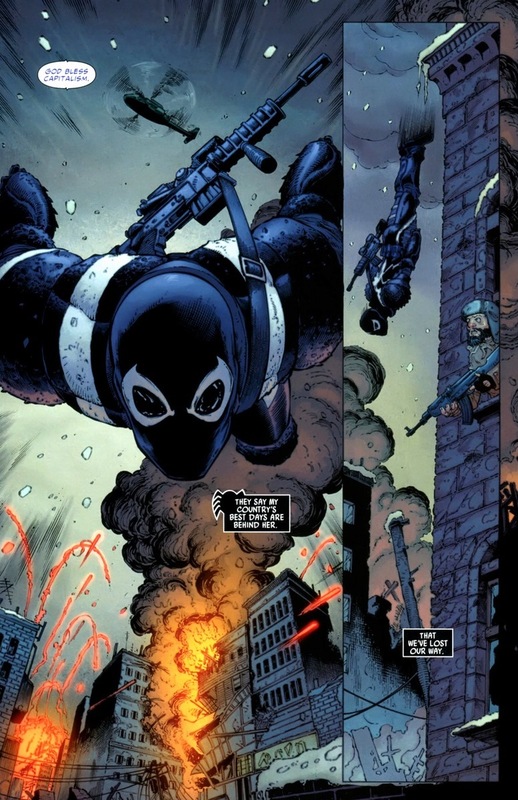 Spider-Man takes the bullets so the innocents don’t have to (well, bullets and jump kicks, laser beams, electric shocks, pumpkin grenades, etc.). Flash totally gets it. 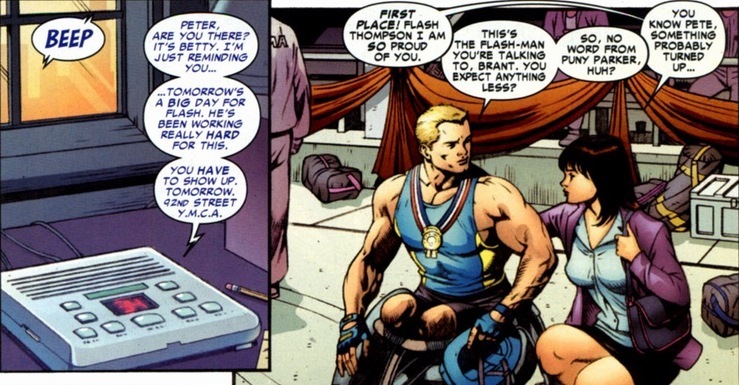 And because Flash strove to be number one his entire life — y’know, standard bully jock hiding inferiority complex stuff — he continues to succeed without legs. That’s what champs do. 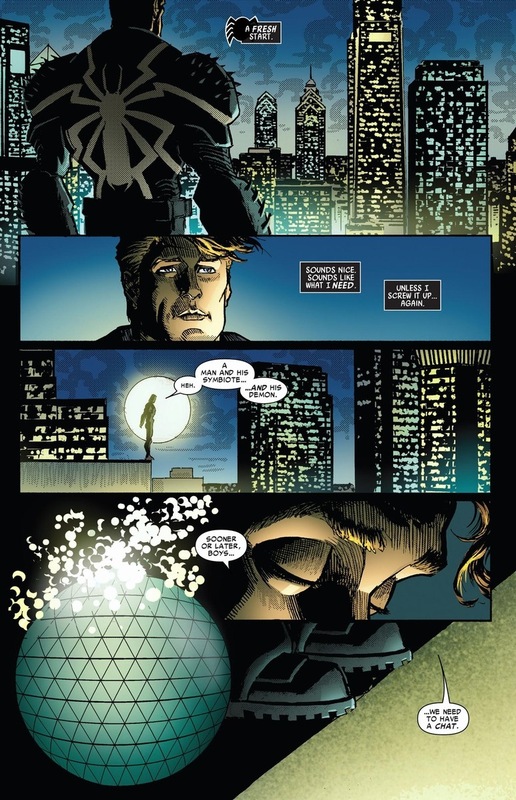 Spider-Man’s in an alternate dimension with the Fantastic Four, but that’s a different story. 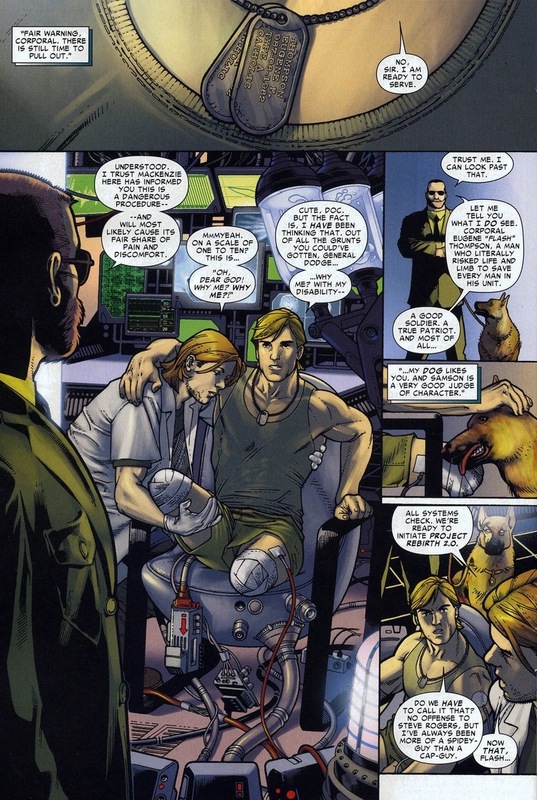 More importantly, when Norman Osborn’s siege of Asgard failed, that meant good news for the government. 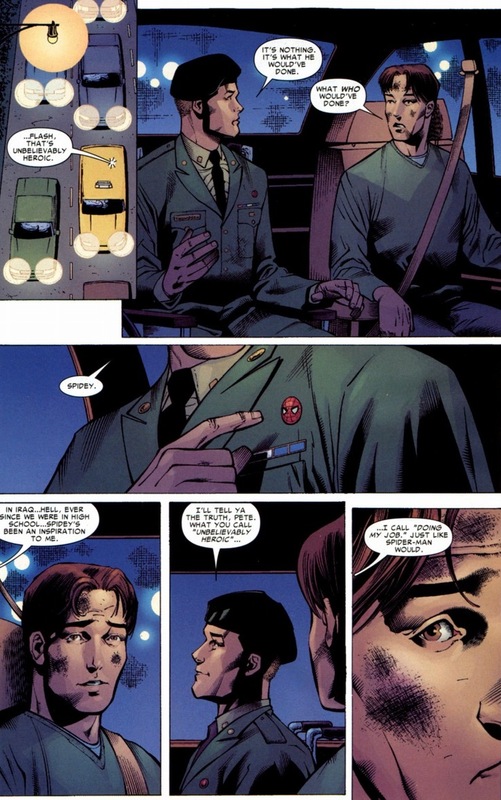 Y’see, all those cool weapons and toys Osborn played with now belong to the good ol’ USA. Including one weapon that makes tanks, bazookas, and Goblin Gliders look like Super Soakers. 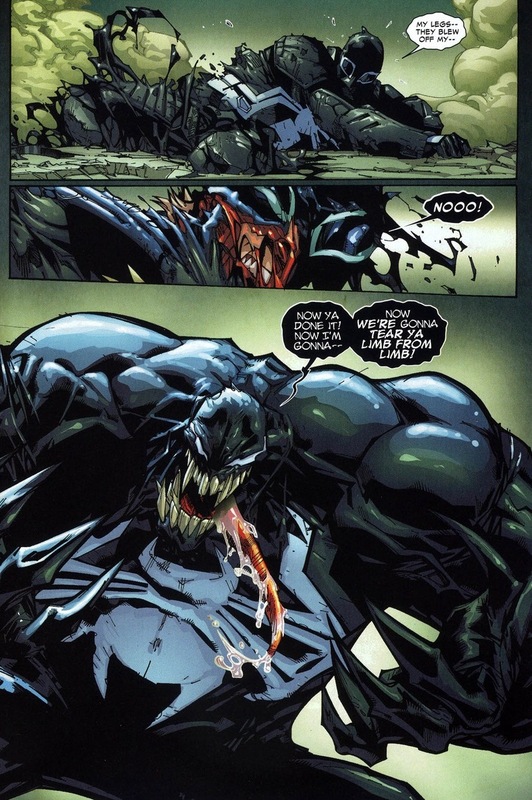 Venom basically acts as a suit of armor, just with an alien personality that eats superheroes instead of kevlar. 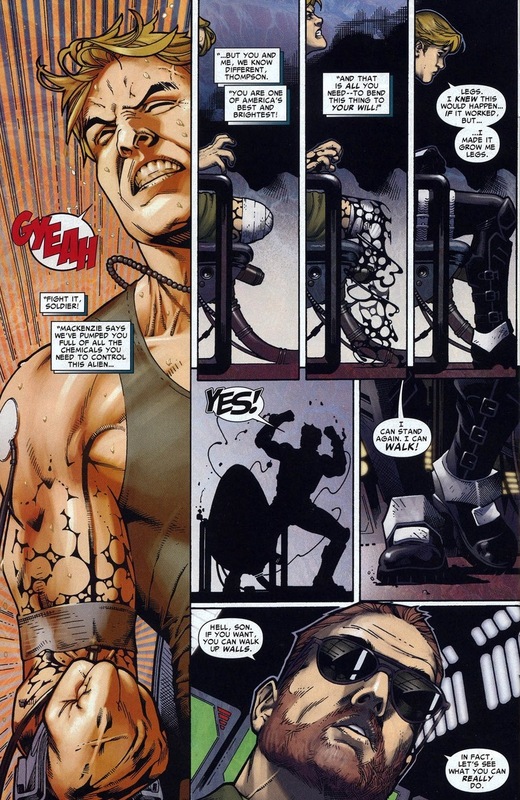 With the proper equipment and a correctly chosen host, it makes any soldier into Captain America with tentacles. 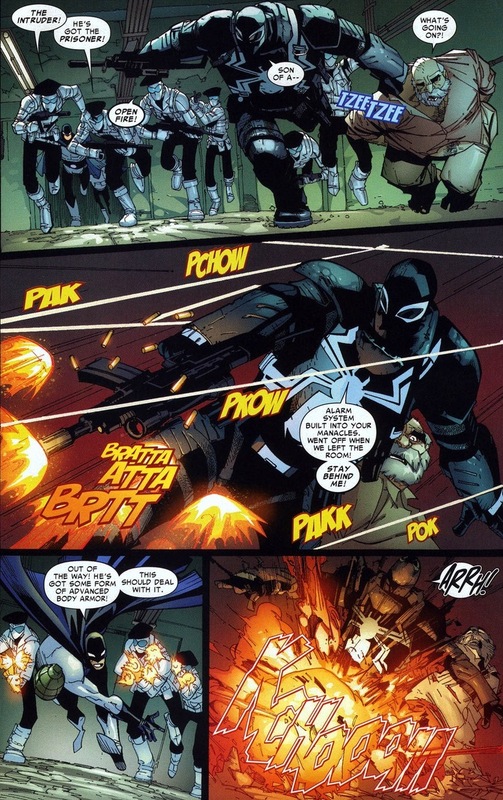 Like Flash Thompson, war hero and president of the Spider-Man fan club. Super cool, right? 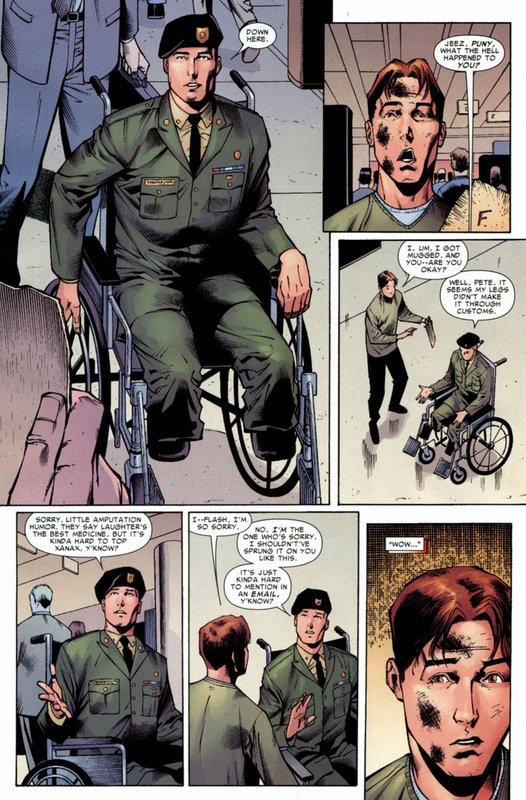 A super solider doing super soldier stuff. 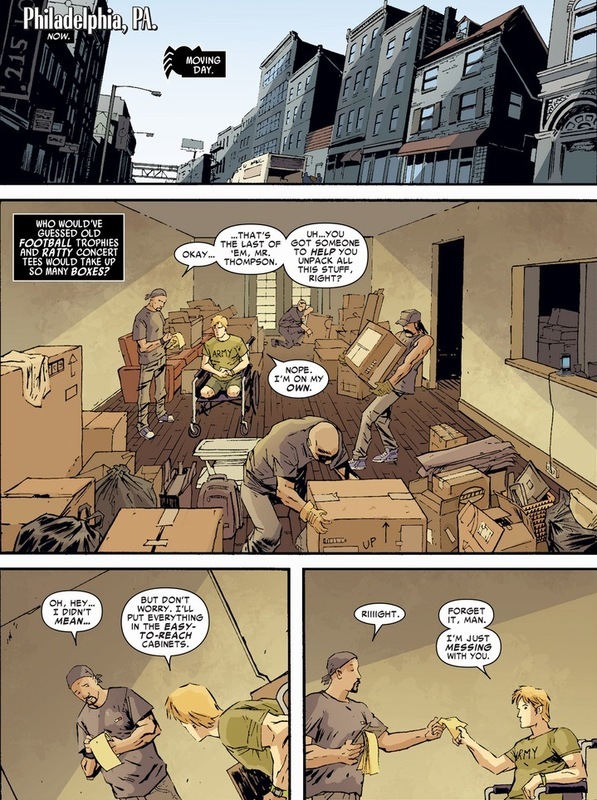 Flash even earns himself a place on the Secret Avengers roster, which totally qualifies him as a real (secret) Avenger. 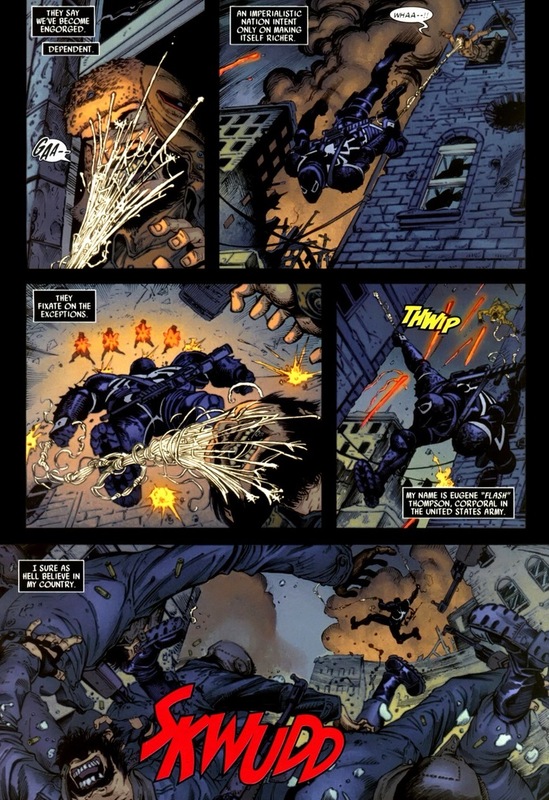 But you know how Venom is actually a crazy evil alien monster the government desperately hopes to control? They certainly do their best. Sometimes. Anyway, Flash gets his very own solo series, something Spider-Man supporting characters rarely enjoy. I mean, Mary Jane will get a one-shot Valentine’s Day issue, but she only rarely transforms into a hulking supervillain who cannibalizes enemy soldiers. Still, Flash turns out to be a fantastic character for holding his own comic. He receives an arch-nemesis (Jack O’Lantern — far scarier, deadlier, and more complicated than the name suggests), a love interest (Betty Brant and Valkyrie), and even saves the world from literal Hell on Earth with his new best friends Red Hulk, X-23, and Ghost Rider. 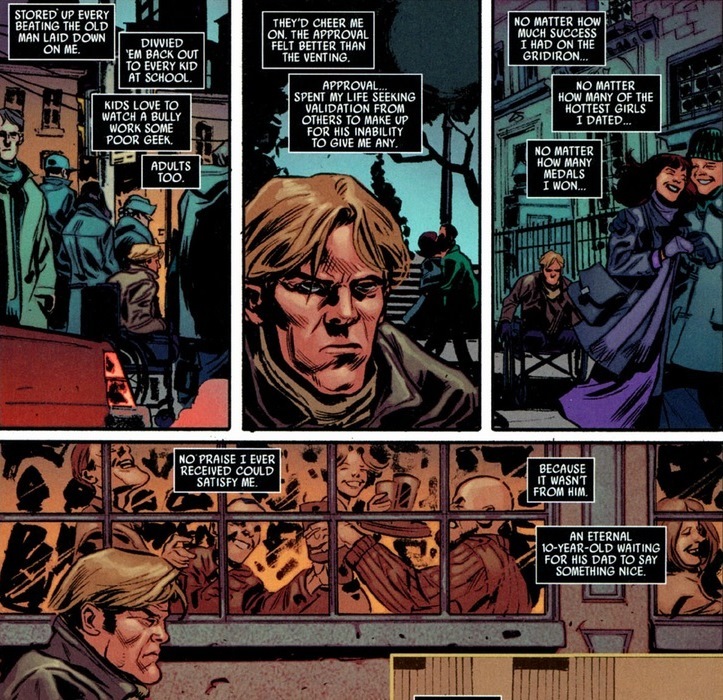 Actually, you should go pick up that little Marvel event, I greatly enjoyed it. Oh, and Flash’s former alcoholism? It runs in the family. 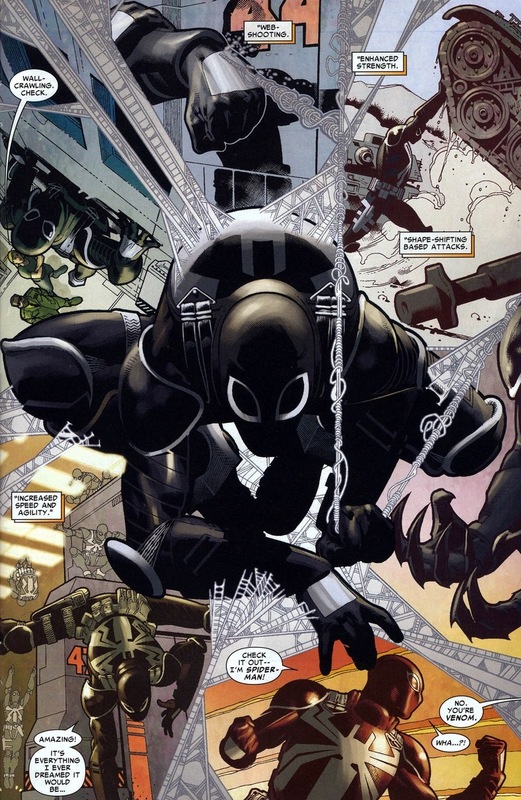 Though Flash exhibits the self-loathing present in all superheroes (which even Captain America has moments of), he essentially broke free of government control and serves as an actual patrolling superhero, with Venom just hanging out inside him at all times. Like a gooey pudding that won’t digest. Most importantly, he’s also the only superhero in Philadelphia. For excitement, thrills, and combat, supervillains should totally hang out in New York City. But if they actually wanted to make money, it’d be smart to move — really any other major city would do. While Venom ends in two issues with #42, it’s well worth it to pick up the older issues, if just because now you’re guaranteed closure. Some closure at least. 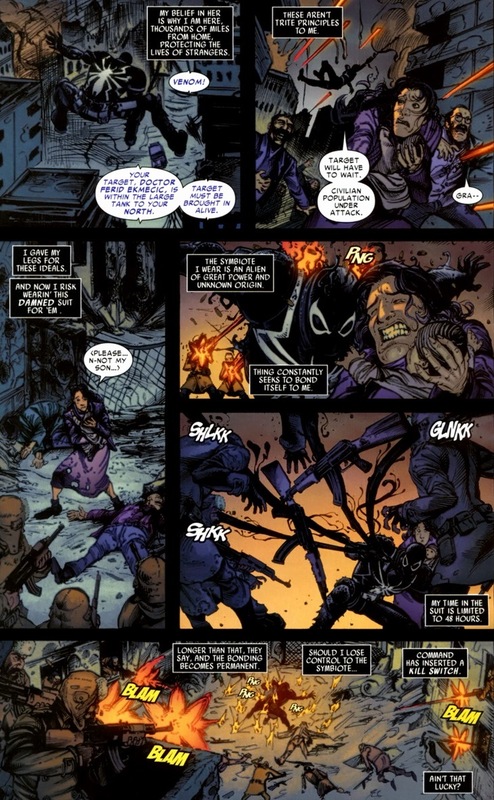 Didn’t the symbiote disclose Peter’s secret ID to him, like it did with Eddie Brock? Or maybe the drugs that let Flash keep it under control also keep it “quiet” or futzed with it’s memories? Flash doesn’t know Spider-Man’s identity, so I figure it must be the drugs or something. 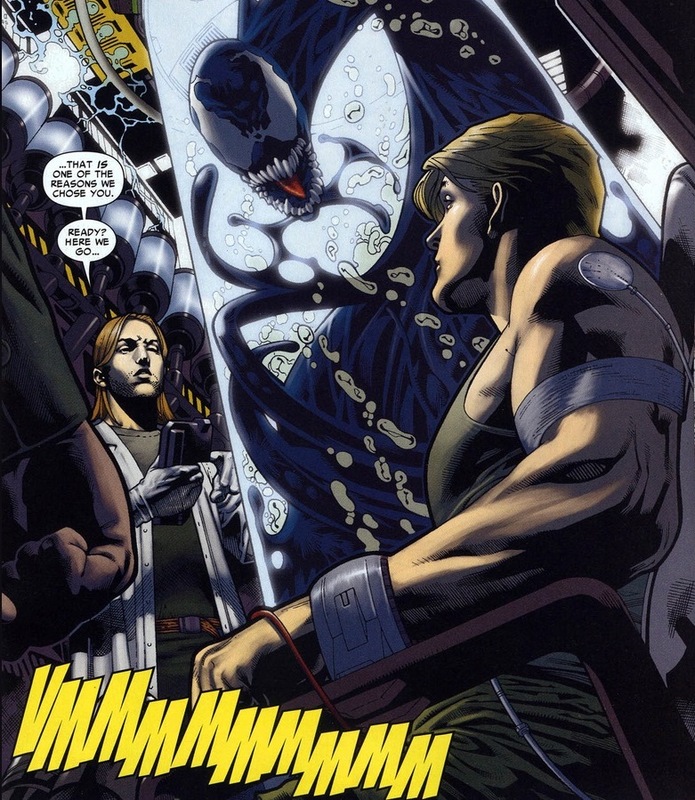 Though Eddie Brock did join Venom’s rogues gallery as Toxin, I believe. 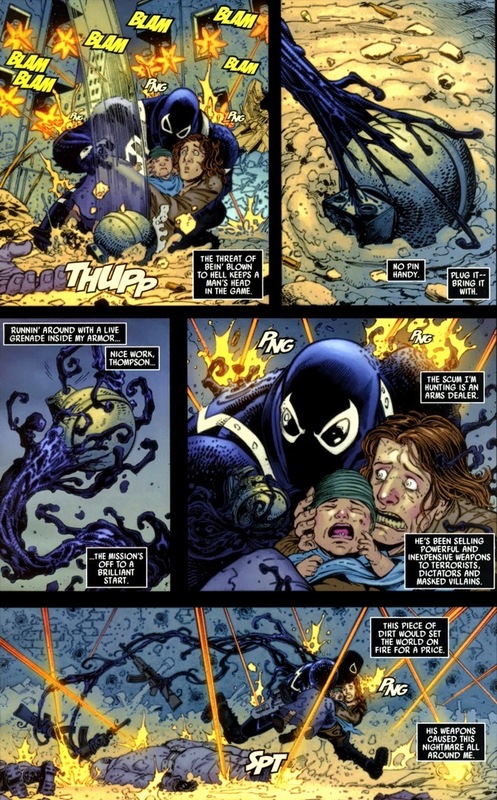 Not that the symbiote would even remember it after One More Day.